From the year 2000 onwards, the Foundation has given scholarships in public or semi-private schools and high schools of art that are part of the Académie de Paris. Indeed, these often-prestigious institutions take in students from outside Paris and abroad. They provide no boarding, and accommodation in Paris is costly, as are drawing or painting materials. They are schools and high schools of applied arts, combining the beautiful and the useful. 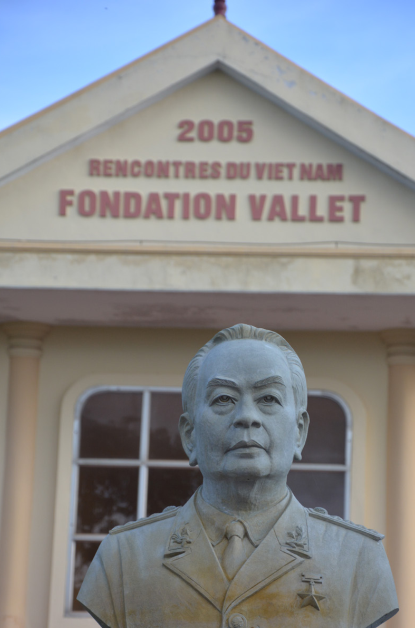 From 2001 onwards, the Foundation has given scholarships in Vietnam, in partnership with the organization Rencontres du Vietnam (Meetings of Vietnam) presided by Mr. Tran Thanh Van, an eminent physicist of Vietnamese origin. Among all countries around the world, Vietnam is the one where, due to the undervaluation of the currency and the overrepresentation of high-level science students, the cost-quality ratio of scholarship holders is the best in the world. From 2003 onwards, the Foundation has given scholarships in Benin, in partnership with the Conseil des Activités Éducatives du Bénin (Council for Educational Activities of Benin). It is one of the few French-speaking African countries which is politically stable enough to allow for durable educational support. Just as a table holds only with three legs, so the Vietnam-Benin-Paris tripod gives the Foundation its stability.